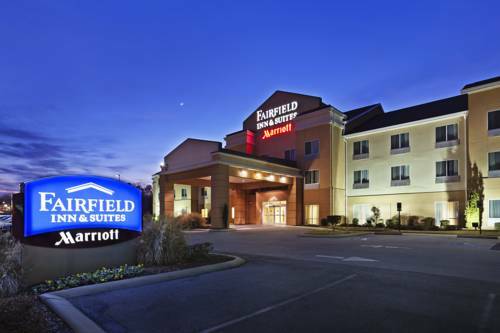 Style, comfort, and convenience combine at the Fairfield Inn & Suites Chattanooga South/East Ridge. Our East Ridge,TN hotel provides everything you need while on the road. The moment you step into our newly renovated hotel, you'll experience a fresh, vibrant welcome. Enjoy comfortable bedding, free Internet access, and a spacious work area in every room, as well as small appliances to prepare a quick in-room meal or snack. Start your morning with a complimentary hotel breakfast, or take advantage of onsite facilities like an indoor pool and hotel gym. Business travelers to East Ridge, TN will appreciate our full-service business center and hotel meeting room, perfect for your next business meeting. Nature enthusiasts will delight in being just minutes from the new Bass Pro Shop in East Ridge, TN. Ideally located along I-75, our hotel offers close proximity to things to do in Chattanooga. Camp Jordan events are less than a mile down the road, and downtown Chattanooga is a short drive away. AT&T Field - Home of the Chattanooga LookOuts.